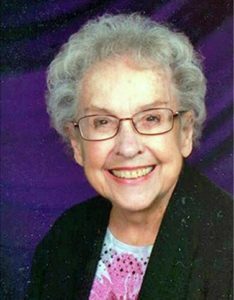 Long-time FCA missionary to Liberia, Garnette Petersen Doty, 96, went to be with the Lord Monday, April 15, 2019 in Duluth, MN, surrounded by her loving family. Garnette was a lifelong member of Duluth Gospel Tabernacle and active in its Sunday school and music programs. She married Sidney Petersen of Minden, NE, in 1949. They lived in Duluth until 1957 when they went as missionaries to Liberia, West Africa. In addition to their missionary work, Sidney and Garnette served churches in Breckenridge, MN, and Palisades Park, NJ. After retirement, they were interim pastors at churches in Brooklyn and Staten Island, NY. After Sidney passed away, Garnette later married Russell Doty. At the age of 92 Garnette chronicled her early years as a missionary to Liberia in her book titled, Ma Petersen’s Liberia. 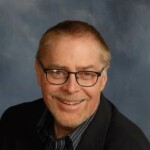 Garnette is survived by two daughters: Patricia (Keith) Hansen and Rebecca (Leonard) Haapanen, who is the children’s pastor at Duluth Gospel Tabernacle, a daughter-in-law Catherine (Sutera) Petersen, 11 grandchildren, and 13 great grandchildren. Family and friends will gather Thursday, April 18 from 10 a.m. until the 11 a.m. service at Duluth Gospel Tabernacle, 1515 W. Superior St. In honor of Garnette’s work and love for her friends in Liberia, memorials to Duluth Gospel Tabernacle Medical Missions are appreciated.